The accidental discovery of chapters from an unfinished novel and of unpublished stories, made the publication of this anthology of Attia Hosain's new and selected fiction an inevitability Atria's two worlds - the Lucknow she grew up in and the London she later lived and worked in - intersect and mesh in the stories and novel excerpts presented here, reflecting her deep and abiding concern with those caught in the cleft stick of history, and how they come to terms with it. The distinctive quality of her prose - subtle, elegant, with an uncanny ear for dialogue and sharp, yet sympathetic observation - is displayed to stunning effect as she delineates the tension and pathos of lives and societies in transition. Attia Husain (1913-1998) was born in Lucknow and educated at La Martiniere and Isabella Thoburn College, blending an English liberal education with that of a traditional Muslim household where she was taught Parsian, Urdu and Arabic Influenced in the 1930s by the nationalist movement and the Progressive Writers’ Group in India, she became a journalist broadcaster and writer. Aamer Hussein was born in Karachi in 1955, and moved to Britain in 1970. He began publishing fiction and criticism in 1987, and his early stories were collected in Mirror to the 511n (1993). Three further volumes were published to increasing critical acclaim: The Blue Direction (1999); Turquoise (2002); and Insomnia (2007). His novella, Another Gulmohur Tree was shortlisted for a Commonwealth Writers Award. His most recent work is a novel, The Coed Messenger (2011). 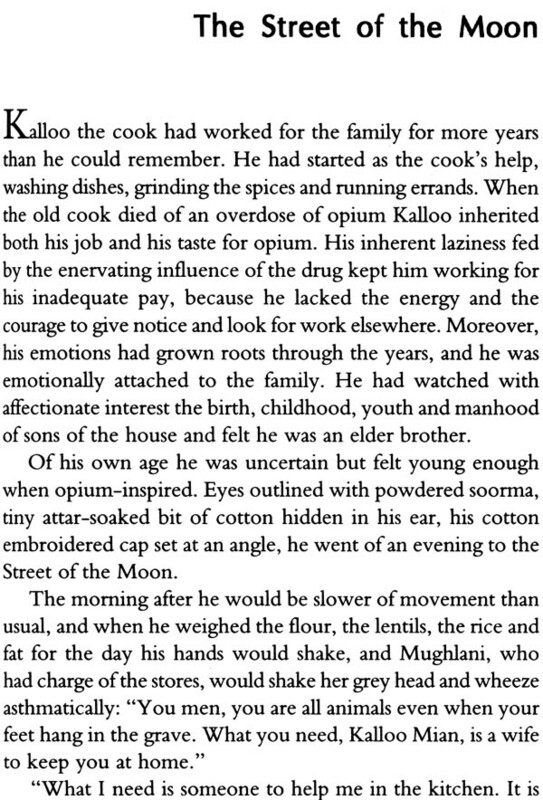 He has also published criticism, essays and translations from Urdu, and edited a collection of Pakistani short stories, Kahni (1999). Hussein was elected a Fellow of the Royal Society of Literature in 2004. He is a Professorial Fellow at Southampton University and a Senior Fellow at the Institute of English Studies at the University of London. Shama Habibullah, Attia Hosain's daughter, was born in Lucknow in 1941. After obtaining an MA in history from Cambridge University, she became a documentary filmmaker specialising in development communication. She has been an advisor to international and U agencies including the ISRO-SITE satellite television experiment in India; a member of the International Institute of Communications, as well as of the Producers' Guilds of both the UK and India. She has worked in key production posts on international feature films such as "Gandhi" and A Passage to India". Twenty-thirteen is Attia Hosain's centenary year, an appropriate occasion on which to honour a writer with a selection of her best fiction, a significant portion of which is previously unpublished. The discovery of chapters of an unfinished novel and of short stories, written over a period of twenty-odd years (but none later than the rnid-1970s), adds a new dimension to an oeuvre already remarkable for its range. Although Attia Hosain is a household name in India, the fact that she lived outside the country for the better part of fifty years, in a sense, placed her at the farther edge of our literary horizon. 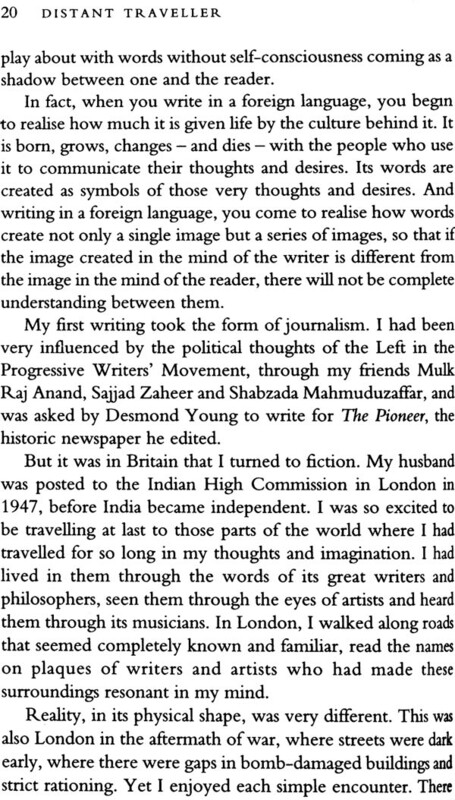 Living and working in London as writer and broadcaster rendered her, if not yet "diasporic" or "exilic", relatively inaccessible to an Indian audience; we're speaking of a time when social networking, literary festivals and international marketing were a future development. Retrieving and relocating women's writing is very much a feminist enterprise; and though Attia herself may not have subscribed to the idea, she would certainly have acknowledged that hers was one of the very few early voices in Indian English writing to focus on the subaltern, especially in her short fiction. A critical reassessment of her work (resonances of which are to be found in her immediate contemporaries, Ismat Chughtai and Qurratulain Hyder, in Urdu) especially now, with the publication of her unfinished novel, would be a welcome development; few writers of her generation straddled two cultures as she did, and absorbed both into their writing. Her own evolution as a writer was clearly influenced by the double- vision that this exposure and experience afforded her. Why Attia Hosain chose not to publish again after Sunlight is a question that will continue to tantalise her readers and critics, but in the meantime we hope that this anthology will bring her work into sharper focus. Working collaboratively on it with Aamer Hussein and Shama Habibullah, sifting, selecting, sharing the excitement of finding new material, has been a singular pleasure, personal as well as professional. 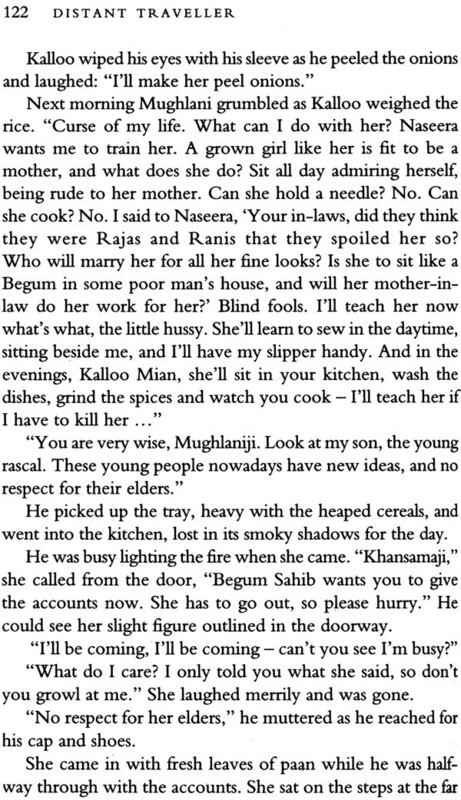 As long as I can remember my mother, Attia Hosain, was our 'kissahgoh', our storyteller. 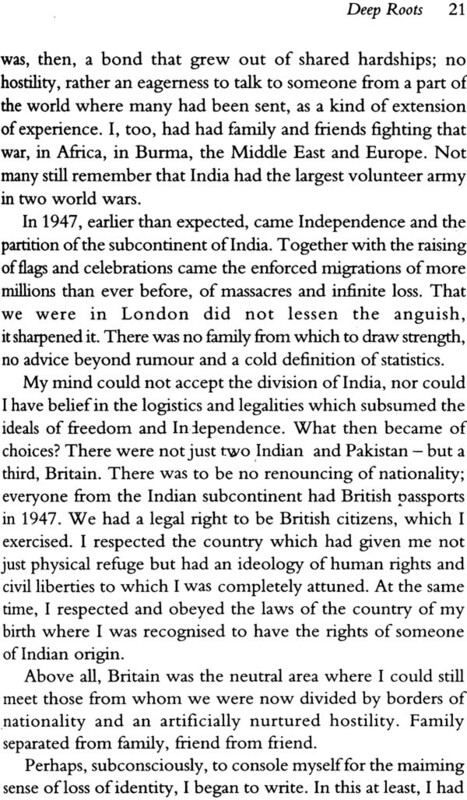 This was particularly important to us as we grew up between two countries and were linked in the course of our lives to several others. Both of us, my brother Waris and I, are filmmakers, so her narratives also provided us the images of our imagination; they became our touchstone to families, people, interests outside ourselves which gave us a sense of our own identity. They helped remove from us 'an absence'. My mother kept a journal from the early 1930s, and letters and notes before then, of her life in India and afterwards in England, until her death in 1998 at the age of eighty-five. Altogether, they span seventy years of her life. We were instructed not to read these while she was alive. The journals were more than diaries. There were descriptions, observations, notes, the ingredients of stories she had begun to write, essays and journalist's reports - acute observations of her surroundings. The stories became indistinguishable from her journals; they melded together. It took us more than ten years after her death to begin culling these pieces; some written on foolscap sheets, some in random exercise books and outdated calendars, papers and letters spread across several countries; others typed out by obliging friends (she always wrote in longhand). It was a humbling yet infinitely rewarding experience to read the material - and often searingly painful. Perhaps the most penetrating aspect of her writing was how contemporary and relevant the thoughts seem, even today. Much of this material would be reflected in her book, Phoenix Fled as well as the novel, Sunlight on a Broken Column; the present collection has been compiled by Aamer Hussein, with whom Attia formed a very deep understanding as a writer. Attia was born in 1913, almost a century ago, in Lucknow, the daughter of Shahid Hosain, Taluqdar of Gadia, Cambridge- educated, one of the extensive clan of Kidwais; and of Be gum Nisar Fatima of the Alvi family of Kakori, scholars, hafiz, educated in the old Urdu and Persian traditions. Atria's life always seemed to be divided between two worlds: the influences of her life came from parallel cultures. One of these worlds was the abiding importance of a home, her sense of her roots in the place of her birth. The early journals, particularly those of the 1930s, a period with which we were unfamiliar, are the most detailed in describing a time of transition not just within family and place but also in terms of political and nationalist ideas and actions. Attia's family house was built in the 1920s at a time when the taluqdars were moving out of their ancestral kothis to establish themselves more independently of traditional identities; they contributed much to the city in terms of its buildings and institutions, such as the university and the council chamber (today's Vidhan Sabha). The front part of the house, called Aiwan e Nisar after Attia's mother, was my grandfather's western-style domain. Here he entertained visitors. He had several English friends whom he had known from Cambridge, or through legal and political connections. Among these was Motilal Nehru with whom he had attended the Inns of Court in England, and in whose chambers at Allahabad he had practised as a barrister for a time. The rear part was my grandmother's, designed and decorated by her with furniture created in Gadia. The two areas were separated by the dining room which stretched almost across the entire width of the house, with a long screen across it. This was the meeting point for the entire extended family at mealtimes. There was a second house, called the small house, but in fact two storeys high, and each of the children had their own rooms. Behind the house was a garden courtyard, with the kitchens and 'servants' quarters on one side. The household retained the tradition of being open to relatives and to the extended family, which included Kidwais, Alvis and others, undivided by class or gender, but given individual spaces. The lives of those in the house and those who supported it were equally intertwined. They understood each other, particularly the women, perhaps because of their close proximity. 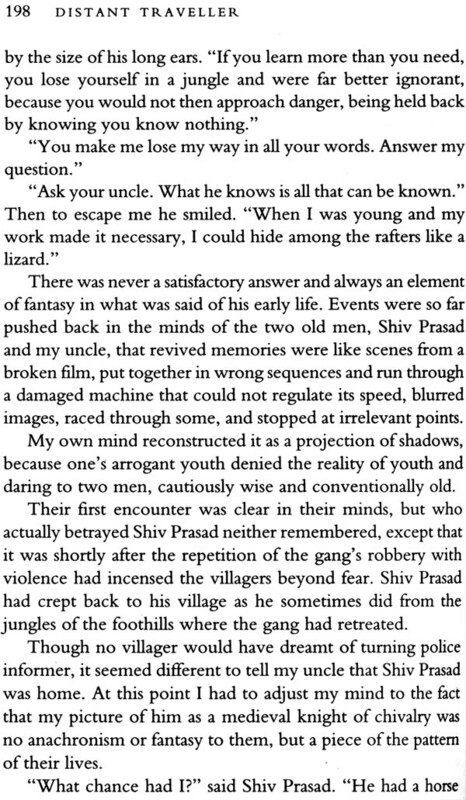 The Avadhi language (all but dead as opposed to Purbi and Bhojpuri) made this stratification of intimacy within the household very clear. But the languages of the village were all used by the womenfolk. 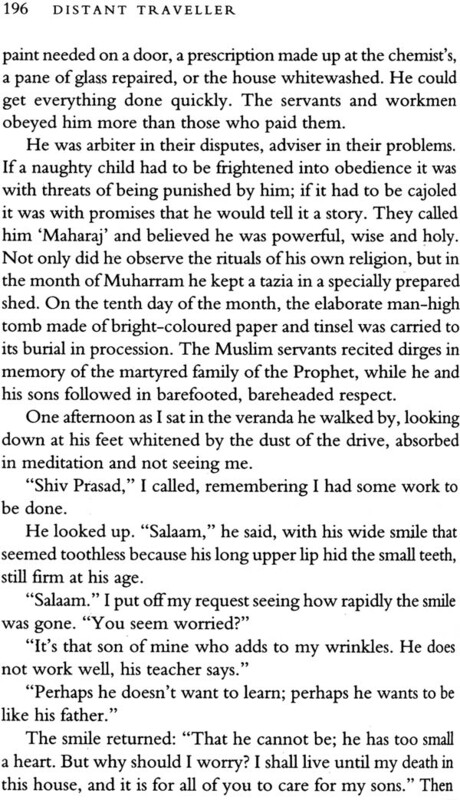 Hence Attia, in her observations, was not consciously translating Urdu but transliterating the actual spoken word, and this can be found in some of her stories. There is the familiarity and ease of understanding a common human condition. 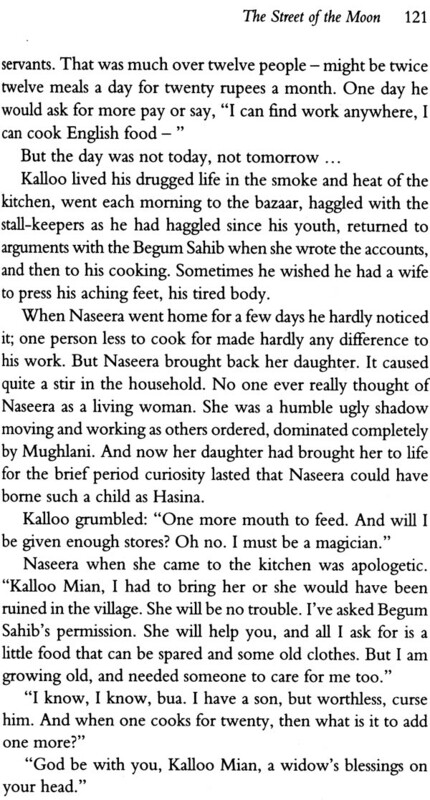 Certainly, my mother was very close to Haseeban, who had been sent by her grandmother from the village to look after her. Haseeban began to call herself "Attia ki Amma". 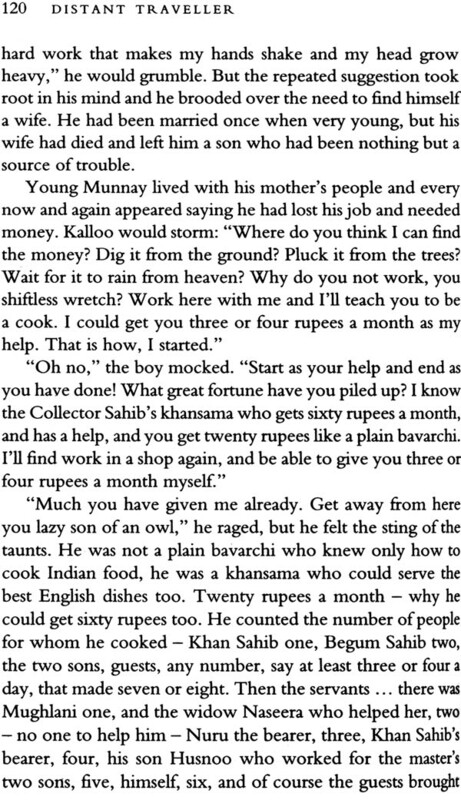 When my mother married her first cousin against both families' wishes and was given no conventional dowry by her own family, Haseeban collected up her own savings and gave her a silver-metalled lotah - it was still with Attia in London at the time of her death, long after she had rid herself of much else of her possessions. 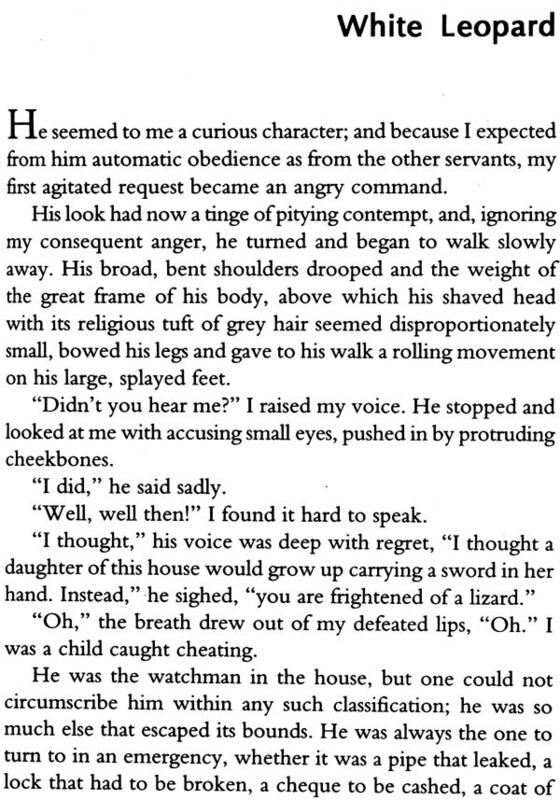 Attia did not grow up in a patriarchal household. Her father, Shahid Hosain, died when she was only eleven. It was her very resilient mother, pregnant at the time with her fifth child, who took over the household (with the help of Attia ki Amma) and ran the estate. This was unusual and courageous. She had set up a school for girls' education, Talimgah Niswan, which still exists today. "I learned from her how strong women can be when faced with tragedy and pressures. 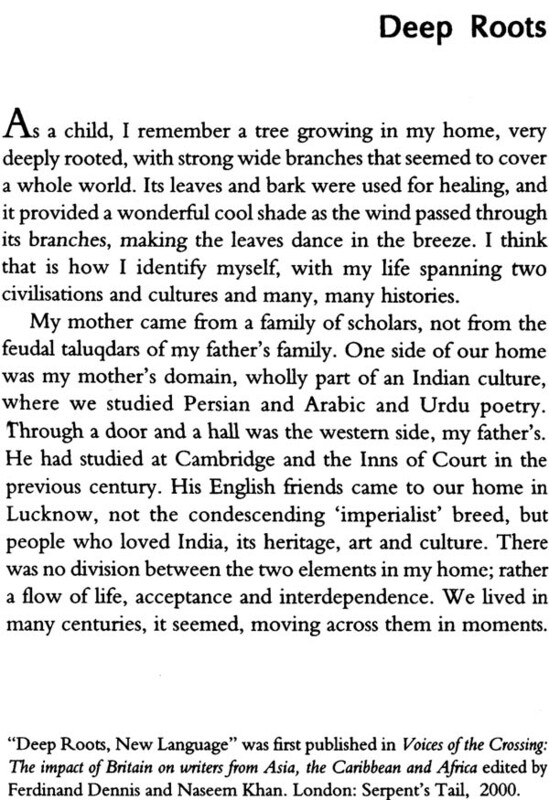 my mother kept us close to the roots of our own culture". My mother and her two elder sisters, Zakia and Razia, were given instruction at home in Persian and Arabic, but were also the first three Indian girls to be admitted into La Martiniere School for Girls (housed in the old Khursheed Mahal) which had until then been only for the British. The sisters were driven there in a curtained car but did not observe parda. Some of Atria's mark sheets and essays survive from this time - English is marked 'Satisfactory'. (A doggerel verse on English pronunciation that Attia copied ran, 'A dreadful language? Man alive/T d mastered it when I was five. ') But, after her father's death, it was Attia alone who was permitted to study further, at Isabella Thoburn College. In 1933, she was married to Ali Bahadur Habibullah. She was nineteen at the time. Her nikah was held on the day before her final university exams. Her college teacher took her away that night so that she could sit for her exams the next day. To her mortification she was placed second; but she was the first woman from a taluqdari family to graduate: to celebrate this honour, the Taluqdar's Association gave her a gold medal. She never felt it was sufficient compensation nor could she forget that she had not been allowed to go abroad to study further - to Cambridge like her father, brother and husband, for instance. Her marriage of choice to her cousin may have seemed an act which provoked outrage even within her own family, but it was not an act of defiance. Ali Bahadur 'Sonny' Habibullah and his two brothers had been sent to school in England as boys. She had corresponded with Sonny from the age of fourteen and idealised him, not least because of the window to other worlds that he seemed to offer. At the time of his death in 1982 they would have been married almost fifty years. What is inside one's mind, one's heart and soul, which makes one wish to write? I cannot answer - but there it always was - that other dimension that seemed to set me apart when I was very young, and reality was merely a part of, or merely a shadow of, the world inside my head. I was not quite like everyone else and I can see how hard it was for others to follow the process of my thoughts and actions. The house into which she married was, unlike hers, full of restrictions and contradictions - part of the turbulence of the existing structures, political and social, that were beginning to emerge on a much wider level. Women, particularly, began to break out of their traditional roles. Attia's mother-in-law Inam Fatima, and aunt, was actively encouraged by her husband, Shaikh Mohammad Habibullah, into more 'westernised' society, unlike her sister, Nisar. Shaikhsaheb, as he was known, was himself a strong-tempered, almost Victorian, disciplinarian; yet later, as Vice Chancellor of Lucknow University he resisted the police authorities' entrance into the campus, in support of some of his students' right to their nationalist views. (Among them was AnwarJamal Kidwai who had written a banned poem and an article belittling King George, and Shanker Dayal Sharma, later President of India); he had also invited political leaders such as Subhas Chandra Bose to address the students, and to his house. In 1933, Attia was encouraged by Sarojini Naidu, "my own ideal of womanhood from childhood", to attend the All India Women's Conference in Calcutta as a young observer. Her unfinished story, "The Leader of Women", is perhaps linked to some of the women she encountered there, and also to her mother-in-law's political career within the dynamic of the household. 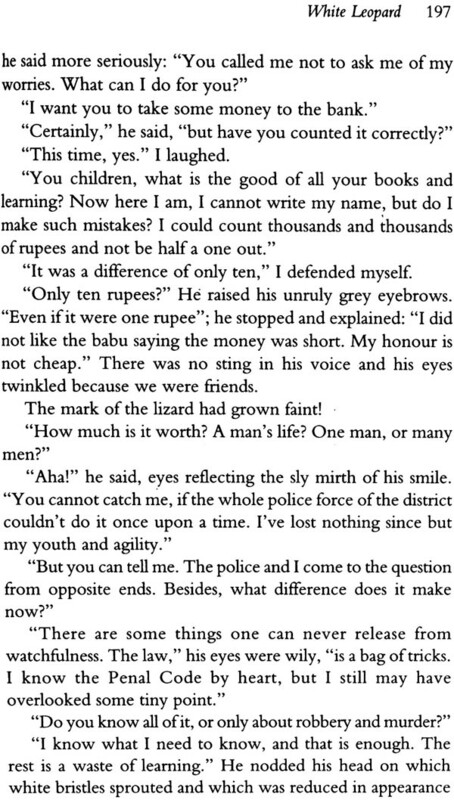 The story (included here) is a fragment; but in her journal of 1967, the descriptive observation is enlarged during the election campaign of her sister-in-law, strikingly relevant over thirty years later, with the constituency covering parts of the old Bara Banki estates.